After their crazy European tour with Sylosis and Heartist, Killswitch Engage will be traveling around the US on an even bigger tour! 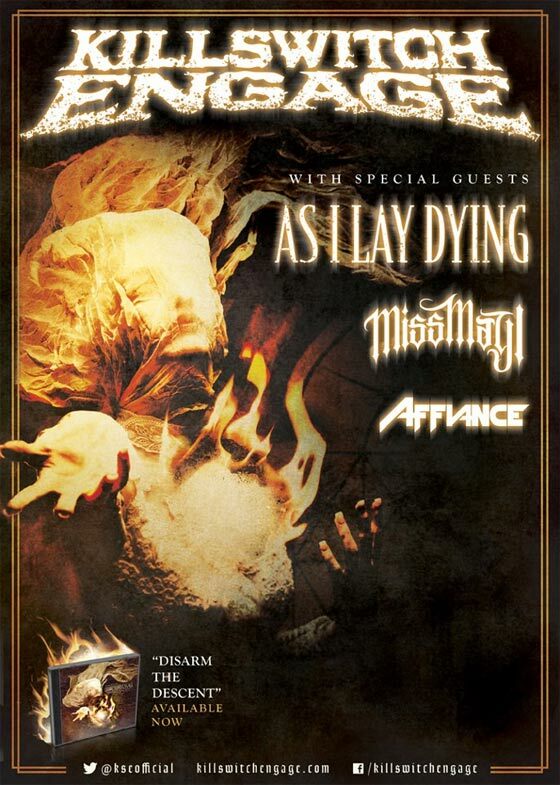 This time they’ll hit the road with metalcore legends As I Lay Dying along with support from two more fantastic bands being Miss May I and Affiance! The tour will begin at the end of May and will endure until the middle of the summer in July! After the comeback of original vocalist Jesse Leech, Killswitch Engage just released a new brilliant album “Disarm The Descent”. You can take a look at our official review right here. Be sure to check the dates along with music from the bands down below. Get stoked and go purchase your ticket for one of the sickest tours of this upcoming summer!